Yeah I guess I’d better go double-check my gender and get it validated, ’cause I write science fiction/fantasy. And lots of my other female friends write SFF. Many of us write such things without a focus on romance. Try not to sound so disbelieving as you take this in. But if you’re going to make these kinds of assumptions, at least leave the condescending smirk off your face. 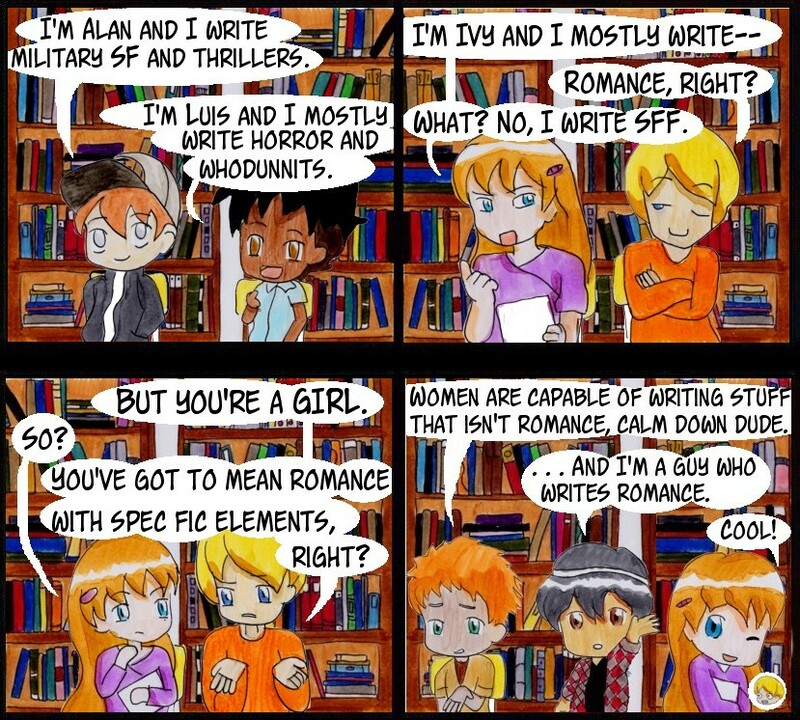 Someone might get the idea that you believe romance is an inferior genre, and/or that you believe the female writers who dominate it are beneath you. I promise I have NEVER in my life preemptively assigned a man a probable writing genre before he speaks, and would never utter a phrase like “so you probably write shoot-em-ups and police procedurals, yes?” Nor have I assumed a man’s romantic stories are probably framed in a battle setting. You really don’t need to sound so surprised when a woman writes science fiction. Get over it.